In 36 states throughout the U.S., forced marriage is still legal as long as a parent or judge provides consent. 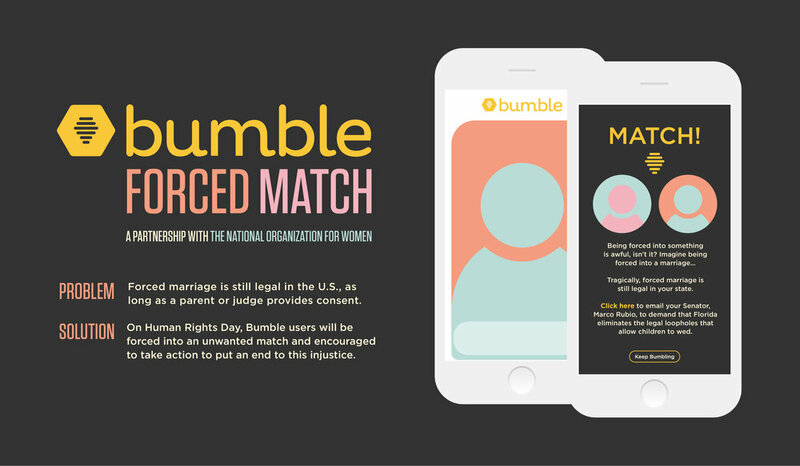 To help eliminate the legal loopholes that allow children to wed, Bumble will work together with The National Organization for Women to create “Bumble Forced Match”. Long story short - Forcing people into matches on Bumble to bring awareness to forced marriages occurring in the U.S.